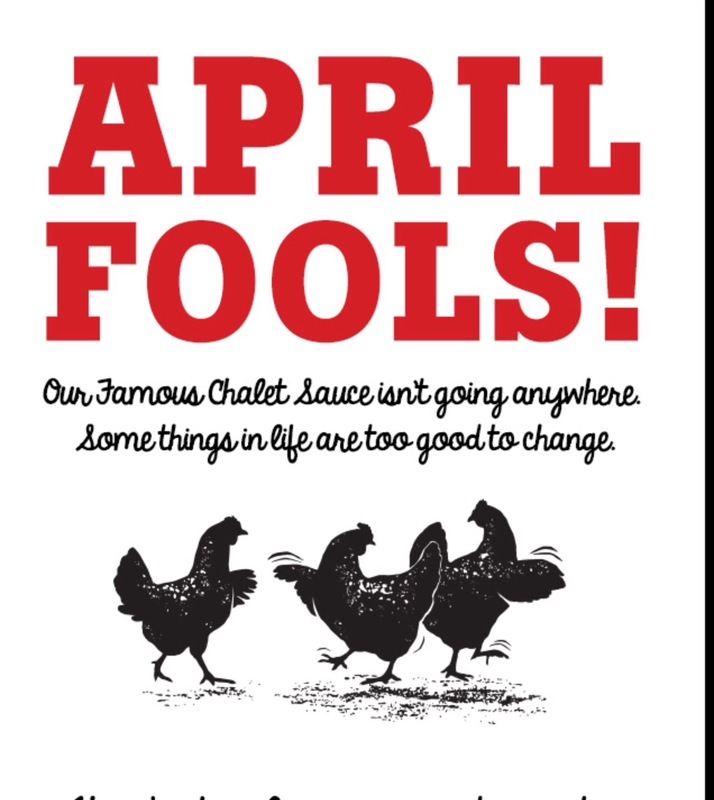 April Fools is just supposed to be until noon on April 1st. It seems everyone was trying to play a prank today. A local radio station had to apologize when they said a famous group was going to be playing in the area on April 31st. The last day of April is the 30th. Some irate listeners were not happy to be fooled and called in to complain. Even a very popular Chicken restaurant tried to play a trick on it’s customers. 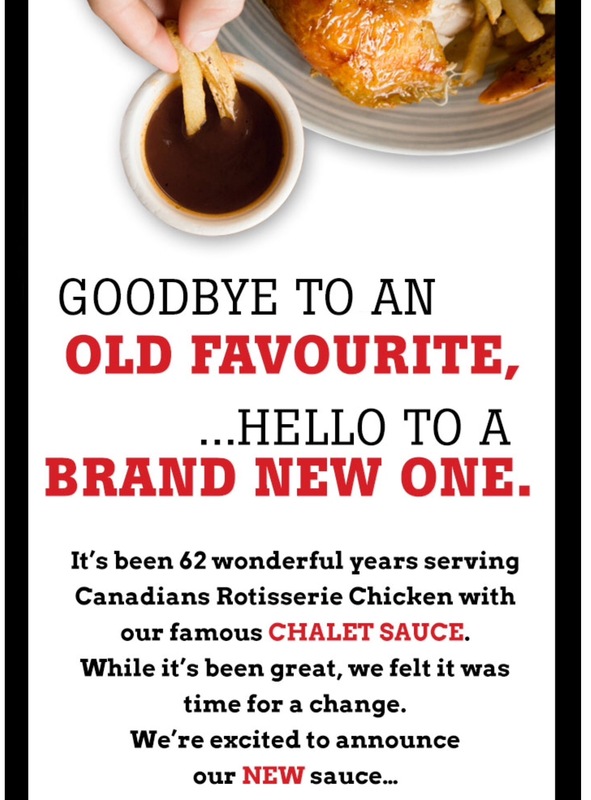 Swiss Chalet is very popular in Canada for it’s sauce. Here’s the online ad. When you clicked, here’s what appeared. Did anyone play a prank on you today? I’ll go have a look. I didn’t get fooled, but many of my friends fell for the John Stamos prank on Netflix. I missed it. I wonder if it’s still there. Previous Post Where Did March Go?